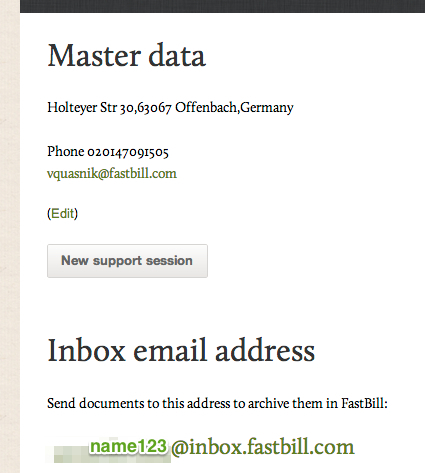 Every FastBill Pro Account has an individual inbox e-mail address. You can find it in the overview (Account settings | Settings | Overview) right below your Master data. Send your invoices or receipts as pdf or zip-file to this e-mail address. Any other file type will be ignored. If you send broken files, you will receive an error message by e-mail. 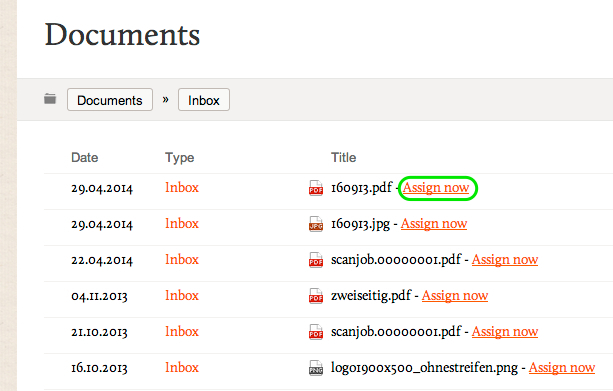 Within 10 minutes documents will be in your inbox and can be assigned.